The Hammond Wall Mount (HWM) Swinging Series installs quickly allowing you to work on your network and not construction. Available online with 14.52" depth, 23.52" depth, or an extra deep 29.52" of rackmount space making this swinging cabinet is an excellent wall mount rack for servers. 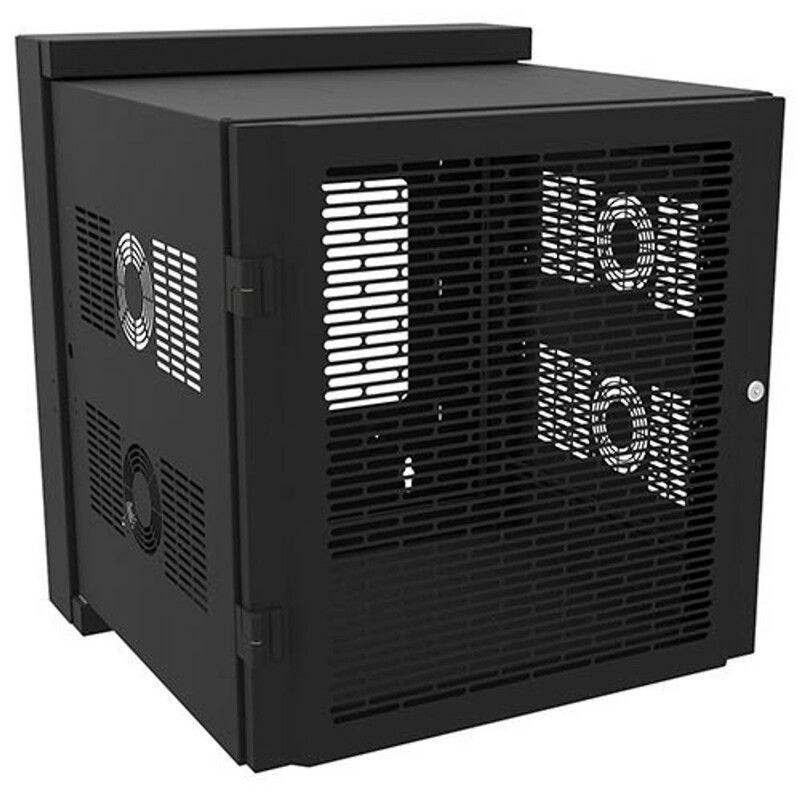 Hammond's HWM Series Wall Mount Cabinet provides quick access to the rear of your equipment including deep servers with up to 29.92" of usable rack mounting depth. Multiple knock outs and a vented front door provide sufficient airflow while the locking doors and sides make this cabinet PCI Compliant.